Many of the world’s cities are recognizing that their current water supplies will be unable to meet the challenges posed by climate change and population growth. In response to these concerns, some cities have begun to invest in massive projects to import water from long distances. Other cities are turning to seawater desalination. For a variety of reasons, many of California’s cities are pursuing a different approach. This talk will focus on local water supply options that might serve as cost-effective alternatives to further investments in imported water and seawater desalination plants. Specifically, the technological and institutional challenges associated with the next stage of demand management, water reuse and storm water harvesting will be considered and research needed to facilitate the transition will be identified. The talk will also address ways in which knowledge acquired from local water supply projects can be integrated into water resource planning for cities facing different types of economic and climatic conditions. 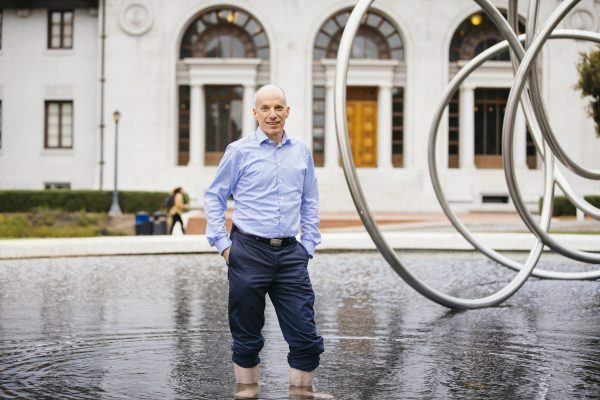 David Sedlak is a Professor of Civil and Environmental Engineering at UC Berkeley and Co-Director of Berkeley Water Center. His research focuses on environmental chemistry, water recycling, contaminant fate in receiving waters, natural treatments systems, and the reinvention of urban water systems.